The Silencio 352 features two XtraFlo fans for optimised airflow. It also supports 120/240mm water cooling systems with a removable top cover for improved cooling. 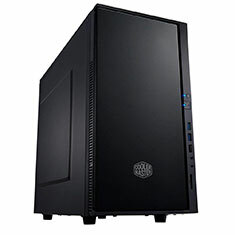 A spacious interior supports the latest high-end graphics cards and CPU coolers and up to 3 HDDs or 4 SSDs. Best of all, multiple air filters simplify maintenance.